Sen. Claire McCaskill and Josh Hawley take part in their final debate before the Nov. 6 election. McCaskill responded that Republicans share some of the blame. As a migrant caravan is traveling through Mexico on its way to the U.S. border, the candidates also clashed over McCaskill’s record on border security. 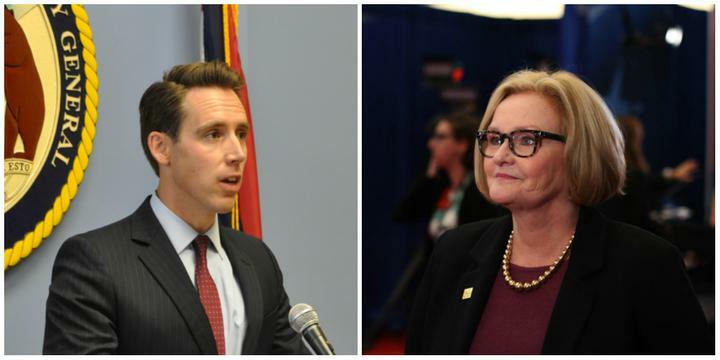 Hawley backed the president’s approach to border security, while saying McCaskill hasn’t done enough on the issue. “This president has stood strong on border security and he needs to continue to do so, but I’m surprised to hear Claire McCaskill talk about the border,” Hawley said. The debate, which lasted a little over an hour and was pre-taped to air in primetime on Thursday, also featured an audience of about 50 people. The candidates fielded questions from some audience members about gun control, student loan debt and how to keep companies from shipping production and jobs overseas.